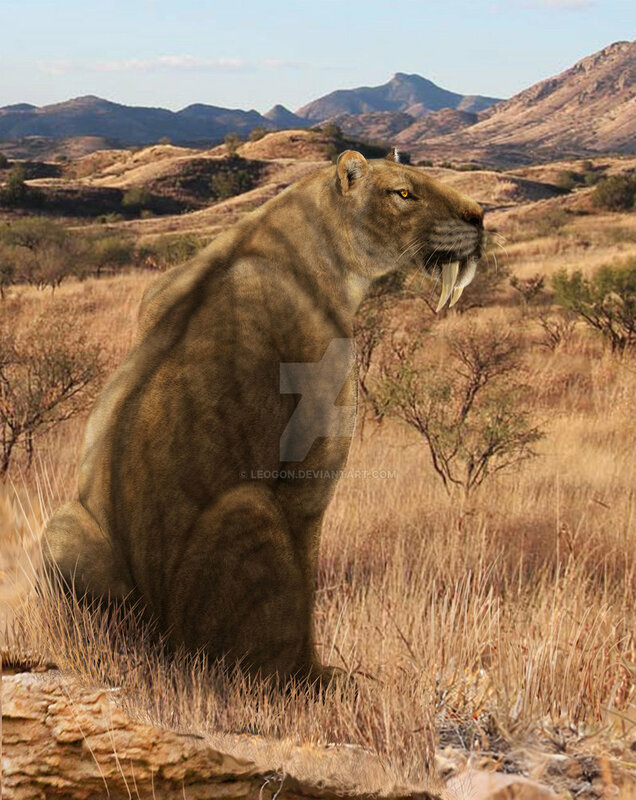 One of the most fascinating facts about Smilodon is that while it is often referred to as a saber-toothed tiger, it really wasn’t a tiger. 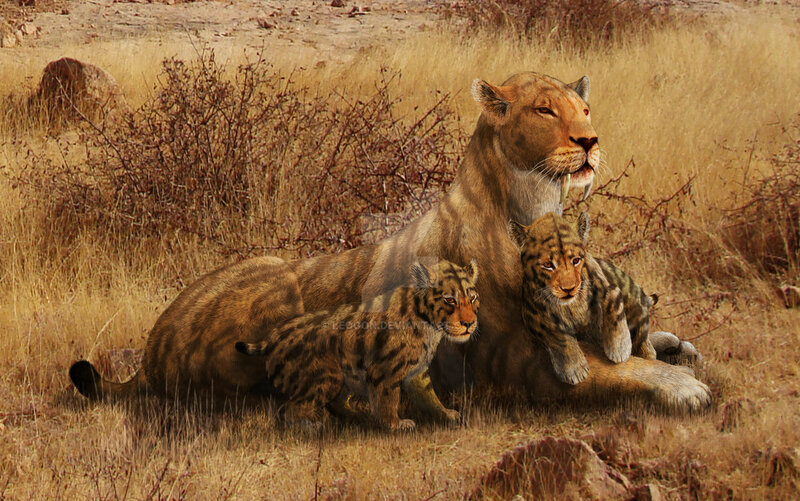 No, tigers are in fact descended from the Panthera tigris family. 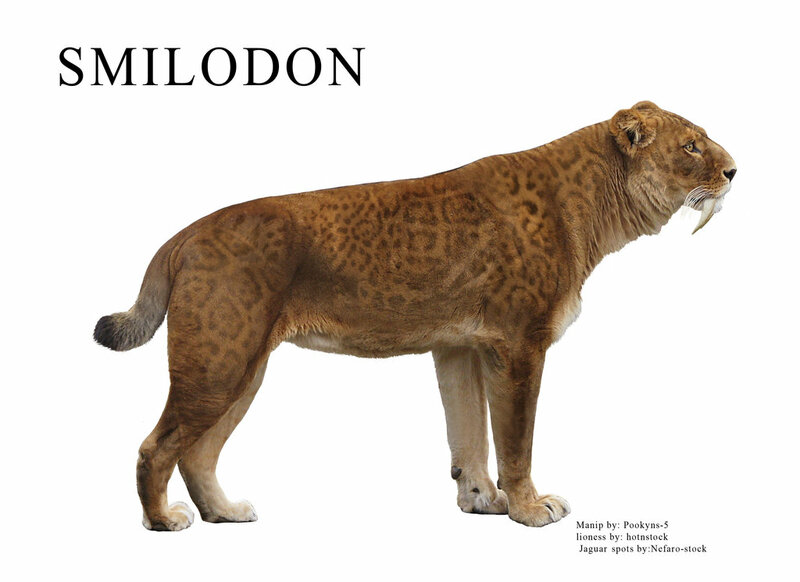 Smilodon is actually distantly related to modern lions and cheetahs. 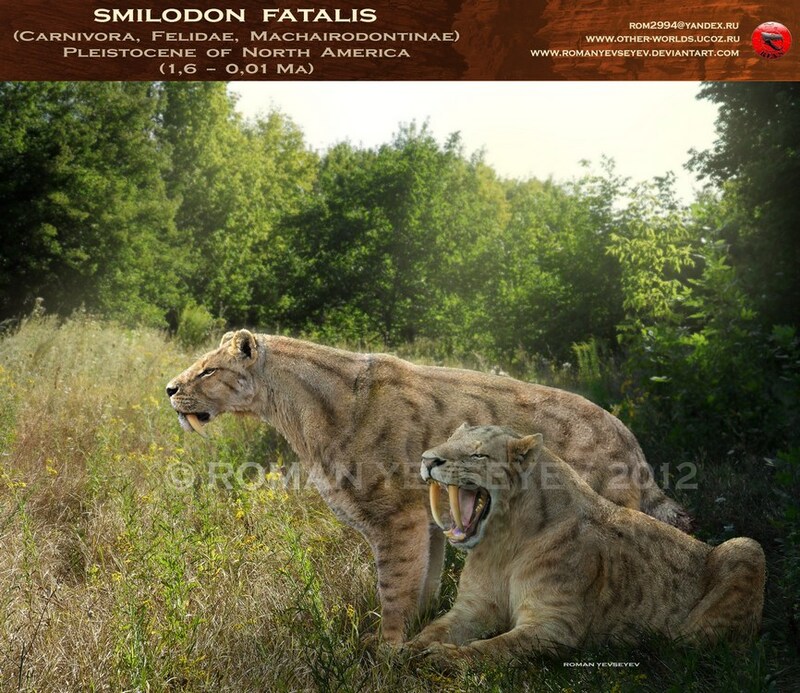 Just by looking at Smilodon pictures, you can clearly see that these cats were very ferocious. 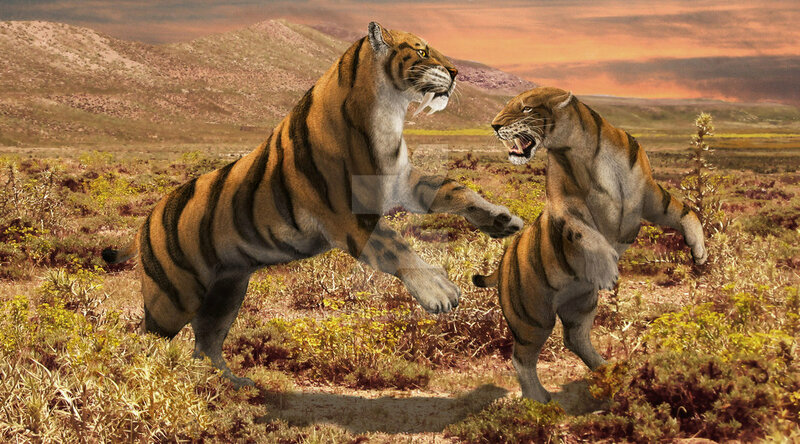 They were approximately 5 feet long, 3 feet high and weighed around 440 pounds. 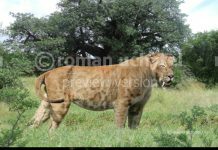 That makes them smaller than a modern lion in length but is also means they were a little bit heavier. 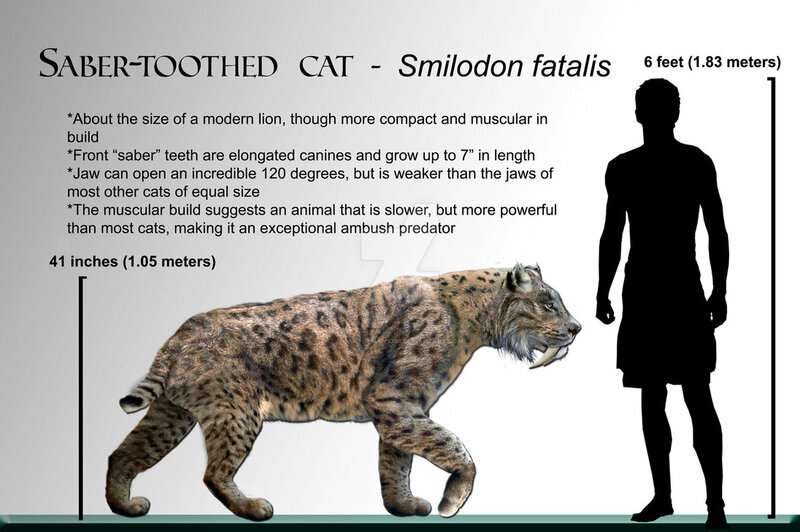 What seems really scary about these cats, however, were the size of their teeth. 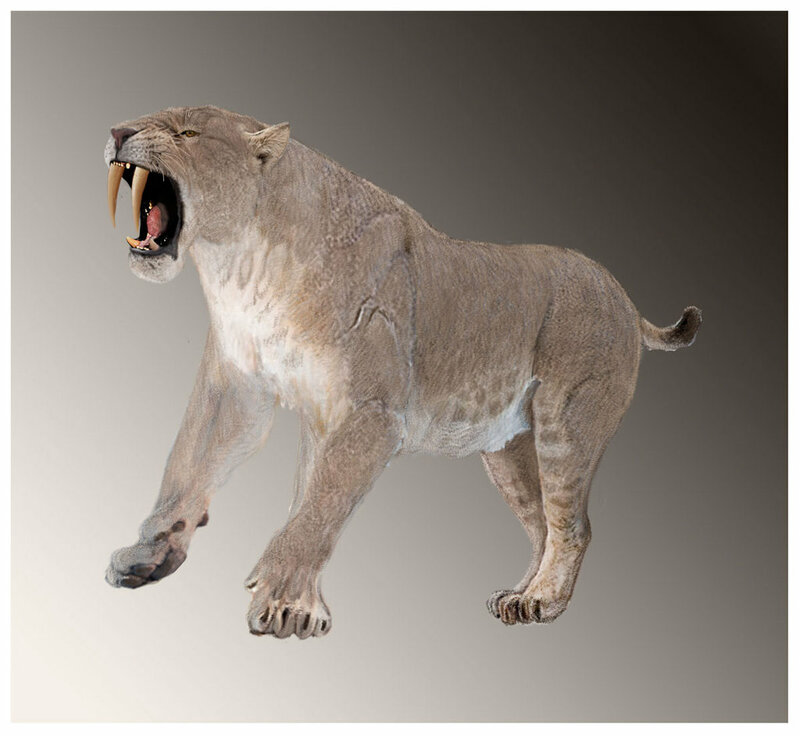 Their canine teeth were almost a foot long. 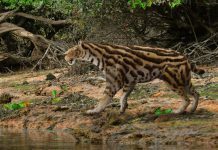 However, its teeth were also very brittle and would often break off while they were using them. And once one of their teeth had broken, then it would never come back. 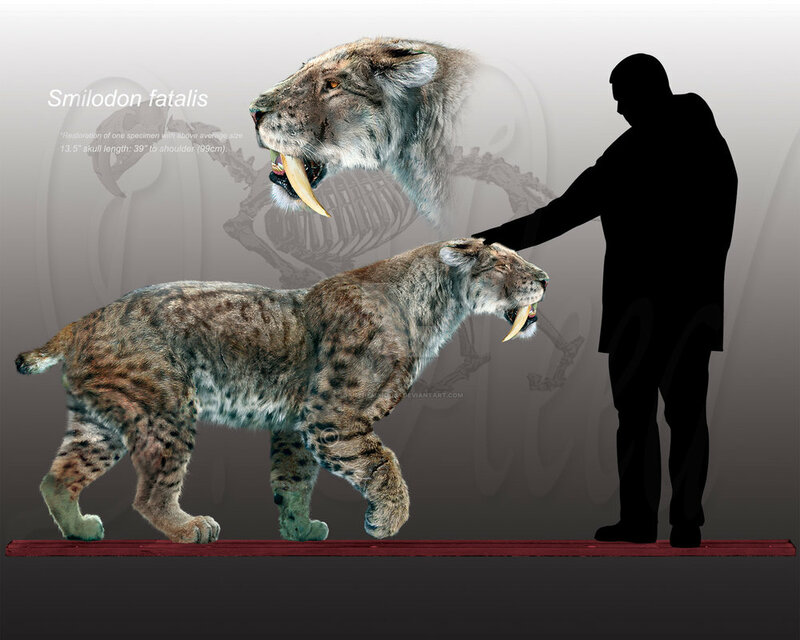 Smilodon also had jaws that were exceptionally weak. 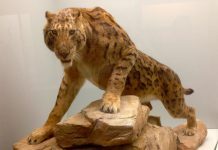 This combination of weak jaws and brittle teeth meant that this carnivore really couldn’t bite down with much force. That’s not to say they weren’t dangerous because that isn’t true at all. 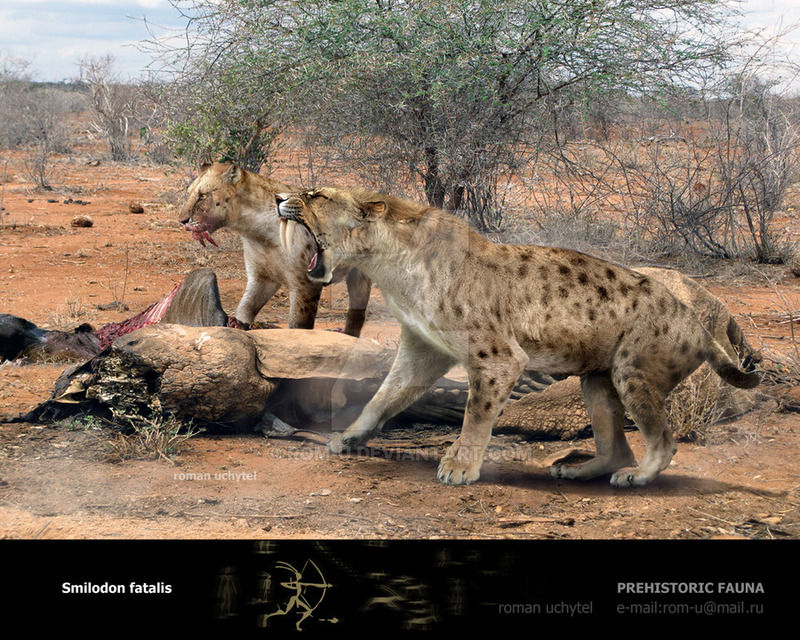 These big cats still managed to take down their prey without a whole lot of problems. 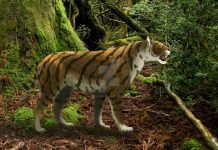 Paleontologists believe that it hunted by jumping down on its prey from tree branches. 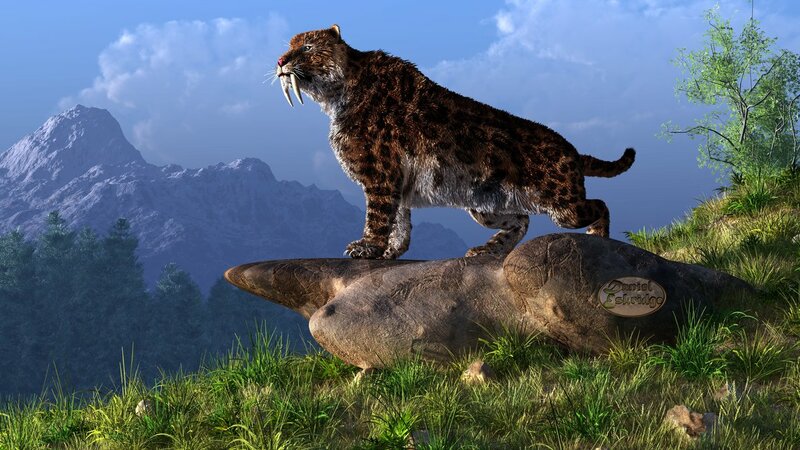 Then when it landed on its prey, it sunk its teeth into its neck. 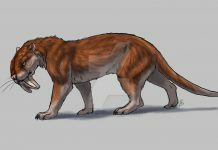 It would then leave its prey to bleed to death and then when it was dead, it would come back and eat it. 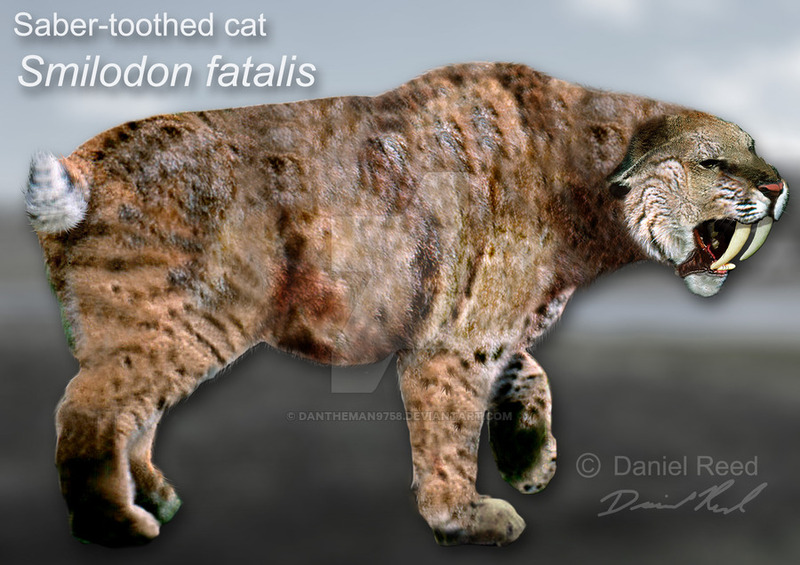 At this point in time, paleontologists aren’t sure if Smilodon was a solitary cat or if it hunted in packs. 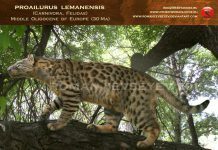 Some of the fossils that have been found were cats that lived well into old age. 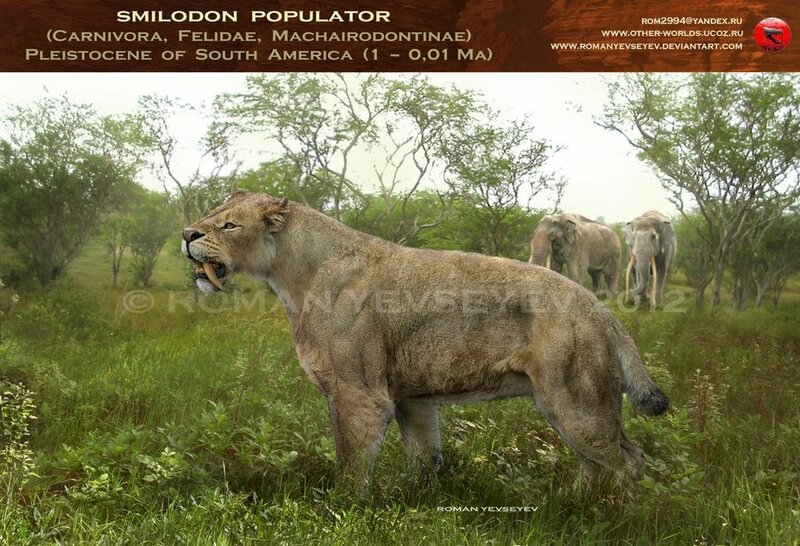 Since they wouldn’t have been able to do that without some protection from a pack of cats, then it seems like Smilodon may have lived in packs after all.